In a world of turbulence and falling market caps, NEO appears to be bucking the trend. Known to insiders as the Chinese Ethereum on account of its similarities to the ever-popular Ethereum cryptocurrency, NEO has actually remained strong in 2018. Although today’s price is a long way from the $160+ high we saw back in February, the project is still hovering around the $40 mark. When you compare the price of NEO to the price of Bitcoin, there is clearly a long way to go before NEO becomes the market leader. However, the same argument could be made for Litecoin, Ripple and any other altcoin out there. If you take Bitcoin out of the equation, NEO investors have a lot to be positive about. Firstly, the technology has the support of the Chinese government. Despite the country’s back-and-forth attitudes to cryptocurrencies, exchanges and blockchain technology, it wants NEO to become the default smart contracts platform for developers around the world. Because the system is open source and positioned as a “public cloud,” tech heads can tap into the network and create their own tools. The end goal is to have a complete NEO ecosystem full of contrasting companies all using the same network. Of course, this is the same goal that Ethereum has. However, as an investor, NEO has some two things going for it. In the first instance, offering an open network is a great way to improve diversity and, in turn, longevity. The fundamentals of Bitcoin are great. However, it’s essentially a closed system which says to businesses: “if you don’t use this technology, you don’t use anything.” In contrast, NEO is saying: “here is the foundation, go and build on it.” In many ways, this is similar to the Apple vs. Android question. Although Apple is the market leader, Android is a close second on account of its open source structure. In fact, in recent years, Apple has been forced to open its virtual doors slightly and bring third-party software into the mix. 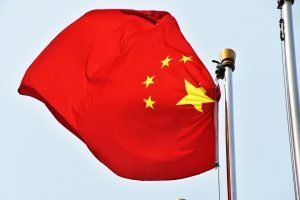 NEO’s other great strength is the fact it has the support of the Chinese government. For any crypto technology to survive, it needs the backing of established organizations. Even though Bitcoin was designed to go against convention, the reality is that blockchain tech is a disrupter rather than a destroyer. Based on this, NEO clearly has a leg up on its altcoin peers. In fact, when a crypto is endorsed by one authority, it’s often endorsed by another. A great example of this is the financial trading world’s adoption of NEO. With established brokerages now offering price data and traditional trading options for this coin, it’s a sign that financial institutions are taking it seriously. Indeed, while there is always the luxury of using a cryptocurrency exchange to buy NEO coins, that side of the market is still unregulated. Although Binance, Coinbase and the other top brands are safe, the smaller exchanges have come under attack from cybercriminals in recent years. Therefore, to have NEO listed on eToro, which is authorised and regulated by the Financial Conduct Authority (FCA), is great for investors and the company’s long-term future. Essentially, what NEO offers investors is a product that’s useful and reputable. Of course, for the technology to become a mainstream hit, it will have to grow and evolve. However, the main ingredients are already there. Does all of this mean NEO is the next big coin to invest in? Well, its fans have been saying this since it went live back in 2014. In the context of today’s crypto market, NEO is certainly in a strong position. When you scroll through the latest price indexes, the products doing well are those that have something to offer business and governments. In other words, technology that’s willing to help the proverbial “man” rather than kill everything in sight (something Bitcoin purists would argue is the goal), is more likely to succeed. Ripple is a perfect example of this. With the recent xRapid trials providing positive results, the likelihood is that more banks and payment processors will use Ripple for cross-border transactions. If this happens, the price will skyrocket and it will become a mass-market product. NEO has the same potential as Ripple in this regard. If the developers can succeed in their mission to create an international ecosystem based on NEO contracts, the coin will increase in value and investors will be happy. Will it happen overnight? Clearly not. However, in a world of boom and bust, it’s nice to see a cryptocurrency that has a solid base and the potential for stable growth over the next decade. The post Has Neo Cracked the Crypto Matrix? Impressive Gains Despite General Market Trends appeared first on The independent republic.